When you’re the tough, wise person that others come to for help, how can you seek help for yourself? In the first episode of a series on overcoming hardships, Dr. Daniel Amen and Tana Amen are joined by hall of fame karate teacher Senior Master Bob White to discuss his unique set of life circumstances, and how his response these challenges changed his life forever. 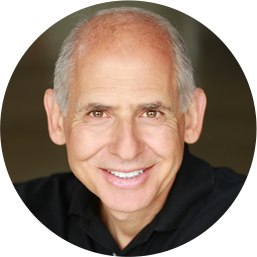 Dr Daniel Amen:	The Brain Warriors Way Podcast is brought to you by Amen Clinics. Where we've transformed lives for three decades using brain SPECT imaging to better target treatment and natural ways to heal the brain. For more information, visit amenclinics.com. 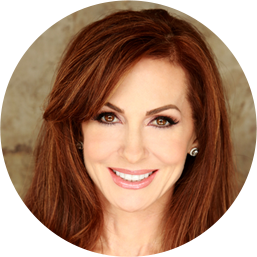 Tana Amen:	The Brain Warriors Way podcast is also brought to you by Brain MD where we produce the highest quality Nutraceutical products to support the health of your brain and body. For more information, visit brainmdhealth.com. Welcome to the Brain Warriors Way Podcast. Stay tuned for a special code for a discount to Amen Clinics for a full evaluation as well as any of our supplements at brainmdhealth.com. Well, this is a very special week for me. We are here with someone who has been just really special in my life for the past decade. For many of you who are going to be listening to this, probably a lot longer than that. So, this is Senior Master Bob White. My karate instructor and was your karate instructor for a while. Dr Daniel Amen:	Until I realized I could break someone's arm in two places and then I'm like, "This is not for me." Tana Amen:	Yeah. You and I are so different. The day he said that to me I went, "Yeah, isn't that cool? I could probably break their neck too." So, we are just so different. Of course I would only think that if someone actually were threatening me, but anyways. Dr Daniel Amen:	That's [inaudible 00:01:43] more. Tana Amen:	No. I don't. Dr Daniel Amen:	Bob has been very special and Bob has a brand new book called Life In Session. Tana will do more of an introduction, but Bob is in the karate hall of fame, he's taught many world champions. Dr Daniel Amen:	I actually gave him a quote. Life in session is the gripping story of a martial arts master. It is an inspiring book about character, determination, transformation and overcoming hardships which is why we are going to call these three podcasts overcoming. Tana Amen:	Right. It's really special and what was so striking to me ... Well, let me start by actually telling people a little bit about you because I want to jump in because I already know some of this stuff, but it's really important that they sort of understand. So, you've always been an athlete. You actually passed up a baseball career and went into karate because you really had a knack for it and a love for it early on in your life. Realized that you were really good at it. You dominated the circuits early on with point karate fighting, correct? Senior Master Bob White:	I had some success, yes. Tana Amen:	A little bit. Just a little bit. He's being very humble. So, you fought on the national all-star black belt team which went undefeated in 1973, 1974. As a teacher and coach, you've consistently turned out some of the world's finest karate fighters who still work and teach at our studio. Senior Master Bob White:	That's correct. Tana Amen:	It's somewhat intimidating sometimes. I remember when I first started there, I was like, "Wow, why is a middle aged mom going to train here?" Except I just knew I wanted to work somewhere where the people were really high level. Chloe, it freaked her out so bad she wouldn't go back for years. She was so scared of them, but over the past 50 years, you've had the same studio and that's amazing to have that successful of a career. Having a studio and I see people come from all over the world to our studio. That's pretty amazing. Senior Master Bob White:	Yeah. We've been very blessed. People ask me what my exit plan is. I said it'll be a horizontal because as long as I'm vertical, I'm going to still be there teaching. Tana Amen:	That's a good response. So, you were involved in the original Karate Kid movie. You appeared not only as a referee in the film, but then they hired you to do some appearances to promote the film. Senior Master Bob White:	Correct. We did some promotion after the movie was made with their plan is to develop the interest of the movie from within the martial arts community and then let it go out to the general public. They had no idea when they filmed it it was going to be the number two movie of the year at the box office. It was very successful. Tana Amen:	It was a great movie. Yeah. So, something really interesting. You and Mrs. White, who is just an amazing human being, you guys make this amazing team. I've often said this. I don't know many people that I've ever met that are more self-sacrificing that do so much for so many people. From the time I met you, all I've ever known really is you guys, everything you do all year is geared toward raising money for Royal Family Kids Camp. You would throw a huge tournament every year for karate and the money goes all towards Royal Family Kids Camp. Senior Master Bob White:	Correct. Tana Amen:	So, it's this amazing thing that you guys do. Senior Master Bob White:	Yeah. We have a great partnership. We prayed for God's guidance and how we could be used by God to do some good for people in our community and Royal Family was an easy choice. Tana Amen:	Well, and a big part of all the people that come from all over the world is because of this service that you do. So, I mean a big part of it started because of your early fame in this world. Tana Amen:	But it continued and grew because of what you started to do that made a difference. Senior Master Bob White:	Yeah. I think it gave me the ability to reach out to more people. Tana Amen:	Right. You've raised over $1 million for Royal Family Kids Camp. It's pretty amazing. It's amazing when I think of that with one studio. You never started a big chain. You never started the money new model for just building and making a lot of money with chains of schools. You did this with one studio where you just really focused. Senior Master Bob White:	Yeah. It's a pretty simple lifestyle. Just the way I like it. Tana Amen:	But it's been amazing to see these people come from all over. Senior Master Bob White:	Well, it's been a great journey. Dr Daniel Amen:	Well, and the theme for this week is getting back up. Dr Daniel Amen:	Even with Bob's success, he's been knocked down. Tana Amen:	This is the part that surprised me. Dr Daniel Amen:	That's what life is in session all about. All of us have been knocked down. Dr Daniel Amen:	He's an icon. Tana Amen:	Yes. In this world. So, we always joke about the look. You don't want that look from Mr. White, but what I had no idea about, I had no idea about the challenges you had been through in the past. None. Senior Master Bob White:	Well, we all have them in one way or another. Tana Amen:	Yeah. Reading your book was very revealing. So, you really humbled yourself and put yourself out there and revealed some personal things. Senior Master Bob White:	Well, if it was going to do what we wanted it to do, there had to be honesty. So, we dealt with that right off the bat. When I worked with my co-author Tom Bleecker, I expressed to him what I wanted to do and that was the theme throughout the movie. I didn't want to hold things back with the what if. I just wanted to go ahead and express the challenges and then express the idea that it's how you deal with them. It's what you do with adversity and that's what shapes you as a person. That was our goal. Dr Daniel Amen:	So, over these three podcasts, we're going to talk about in this one, so what were the hardships? What were the failings if you will along with the cancer. In the next one, we're going to talk about how did you overcome it and in the third one is how have you sustained it. Because so many people who listen to the Brain Warriors Way Podcast, they've been knocked down. They relate to Tana and Tana's cancer history, her sort of crazy childhood. The war I've been in with my colleagues trying to get them to do psychiatry differently. So, people who would listen to the Brain Warriors Way Podcast, they've been knocked down and they love transformation stories, but let's talk as you talked about in the book some of the challenges you had early on. Senior Master Bob White:	Well, my first challenge actually and going to school I was really shy. People have a hard time believing that, but I think I really had my identity through athletic success, but to get in front of people and talk was something that was very challenging. Through my martial arts experience the opportunity to teach and share what I had, the knowledge whatever knowledge I had I think has enabled me to feel a lot more comfortable doing that. So, that was the first challenge. Then to combat the shyness, I started drinking alcohol. But I didn't start until I was already playing baseball in college. I walk into a room before I started doing this and my students would be in there and they all felt uncomfortable. They started putting their drinks away. So, exactly what I didn't want. I didn't want people to feel uncomfortable in my presence. I wanted to be a part of and embrace friendships and so at that time in my life, it was hard to realize that there's different positions or a sense of atmosphere. I just wanted to be a part of what was going on. So, I started drinking. I had an instant personality. Not always a good one. Tana Amen:	But you thought it was amazing at the time. Senior Master Bob White:	I thought I was better looking, I thought I was funnier and all those other things that go with it, but it's a terrible thing but it worked for me until it stopped. It worked for me for a long time from probably almost 20 years it worked for me, but all the problems it created. The divorces and all those things that go with it. So, that was the first one. The shyness. The second one was dealing with alcoholic behavior and all of the symptoms of alcoholism. Dr Daniel Amen:	Like what? Senior Master Bob White:	Well, I think self-consumption. I'm not everything that people think about, but I'm all I think about. That's kind of one of those deals. I was kind of self-consumed. Not kind of. I was. I was self-consumed and pretty much thinking about what's good for me as opposed to what's good for the people that I love or the people, my students I'm around. So, big lessons. I look back now at what my thinking was and I can't believe that I could ever rationalize. There's an old saying about there's a major difference between being rational and rationalizing. Well, I could pretty much rationalize anything at that time. So, big lessons. Looking back with a sober mind, I've got 28 years of not drinking, but I think of those years and some of the things that I was involved in I just shake my head. I couldn't believe it. Senior Master Bob White:	Well, whatever it was, not showing up for work or canceling classes or infidelity or any of those things that I'm certainly not proud of. It's just whatever your character defects, they get to be on steroids when you're drinking. I think somebody said years ago, why do you drink? He goes, "Well, it amplifies my personality." But what if you have a terrible personality then that's amplified. It just brought everything up to the front which created a lot of problems. Dr Daniel Amen:	Well, and when people drink, they often don't know. We have a new poster coming out. It's an update of this which brain do you want? Healthy scan surrounded by drug and alcohol affected scans. When you drink, it drops your frontal lobe and so more impulsive, judgements not quite as good. We all have them. Jerry Seinfeld once said, "The brain is a sneaky organ." We all have weird, crazy, stupid, sexual, violent thoughts that no one should ever hear. When we drink, they tend to get out and those behaviors tend to get out. Senior Master Bob White:	Yeah and alcohol certainly has that disinhibiting effect that you're more likely to act upon those things. I fully understand that. Tana Amen:	Now you made a comment about how you allowed alcohol to guide your emotional growth at the time and that was a bad thing. You were growing in two different ways, but it was alcohol that was guiding that emotional growth which was a bad thing. Senior Master Bob White:	It was a bad thing. Tana Amen:	So, because it was growing the proper way. So, you were like growing there was this disconnect. I really like that and you went into depth about the pain. I know you, for the last 10 years I've only known this person who is as you said an icon. So, I didn't know these things. You sort of hinted I haven't always been this person but I don't know what that means. So, as I'm reading this, I'm like, "Wow," this was the reason it was so powerful for me was because so many of us look for mentors and we look up to those mentors. We respect them and we follow them because of their strengths, but then it occurred to me. They didn't get that way by not having challenges. They got that way usually because they have struggled somewhere and figured out how to overcome. That's the important part here is that you're not hiding from that. You're using it to help others and that's really critical. Well, there was one quote in the book that I thought was so amazing. I was looking for it here but you said something that was really interesting. You said, "I wore a belt with a bar and four stripes that was the equivalent to a general in the army. People came to me for help. I did not go to them." So, it was really hard for you to give that up, to surrender. Senior Master Bob White:	Well, lack of power is always our dilemma and surrendering to the fact that I didn't have all the answers and the discovery of the fact that there is a God and I'm not it. So, just the ability to realize. There's an old saying about a hungry dog doesn't care who feeds it. When I got sober, I was a hungry dog. I was so fortunate. A person came into my life just by chance into the studio. Tana Amen:	If you believe in chance. Senior Master Bob White:	Well, exactly. I know it was an act of God because at this point in a recovery program that they have what's known as a sponsor. Senior Master Bob White:	A sponsor is somebody who has longer length of sobriety that can help you on your journey toward a better life. This gentleman came into our studio. He was a black belt already. Took his belt off and started all over again at our school. Tana Amen:	So humbled himself. Senior Master Bob White:	Yeah, but at first, my mindset at that time was very suspicious of him. I thought he wanted something from me. It wasn't just an act of kindness, but he never has. All he's done is just been a great mentor in my life and we're completely different. He's a Jewish doctor from New York that all of his battles were won with his wit and his intelligence and mine were a little more physical. Just a wonderful guy. A wonderful man. Dr Daniel Amen:	So, there's two very important points for people to hear. Alcohol often starts by self-medication and self-medication of anxiety or shyness and it worked. Unfortunately, the side effects were devastating. Senior Master Bob White:	Sure. Dr Daniel Amen:	So many people who have suffered and have made decisions that they think they shouldn't have, I'm thinking of somebody in our lives who we love who got her children taken from her and she thought that would define her for the rest of her life. Tana Amen:	Yes. That's my point. Dr Daniel Amen:	What you are sharing is that really hard time in your life didn't define your life. That you overcame it and now you're just looked up to by so many people around the world. Tana Amen:	Yeah. That was actually one of the really important points because now that I'm going through this with someone else who is struggling, if you don't have that particular problem or you don't have that particular issue, I think you can't necessarily relate to it unless you've been in that point with someone struggling to get out of it. So, it's really hard to understand if you're not suffering from it, but going through this with someone who I care about very much and seeing struggle, it's hard to see her do it. It's hard to understand why she's not following the steps all the time and why she struggles and falls back, but then I see the pain and the devastation when she calls me and she's just crying and she says, "I'm worse than most people. I don't know why I'm more of a failure. Maybe I'm just the one person who is never going to be able to be helped." So, that was what was important to me about this story. Dr Daniel Amen:	A lot of people listening have that mindset. Dr Daniel Amen:	Plus, before we have to stop this session, both of you are cancer survivors. Tana Amen:	Yeah. But what you had, he went through hell. Dr Daniel Amen:	Had a bout last year not with one but with two separate cancers at the same time. Tana Amen:	You had a whiffle procedure which as a nurse, that is a procedure I just wouldn't wish on anybody. It's a terrible procedure to have to go through. Then you had complications from it. Senior Master Bob White:	I did. Tana Amen:	Then after that, you had to go through the radiation and chemo for the cancer that was in your tongue and neck. Senior Master Bob White:	Yeah. So it was a wonderful year. Tana Amen:	Oh, it was hard. We were all really scared and it was a hard year because you just are, like I said, you are this person we all look to with so much power and we were so scared and sad for you to go through that, but again, you overcame. Senior Master Bob White:	Well, you know what really helped me? I don't think if there wasn't a program of recovery that I went through with the alcohol and developing a relationship with the Lord, I think the whole thing with the cancer would have been much more difficult. But that embracing that one day at a time can apply to a lot more than just drinking. It can apply to problems that you run across. Tana Amen:	You did admit that you had trouble with that at times. I know I hated it. I was angry. I didn't have that at the time before I just surrendered. So, you struggled with it, but you came back to it every day. Senior Master Bob White:	Well, I knew that was where the peace was. The unrest and the being uncomfortable was when I was trying to take back control. I wanted to be better at my speed rather than God's speed. Dr Daniel Amen:	Oh really? Tana Amen:	I'm going through that now. I just had surgery a few weeks ago and I'm struggling with wanting to do it on my terms, on my pace and I keep having setbacks because it doesn't work like that. Senior Master Bob White:	There's some familiarity in that. Tana Amen:	That's even when we're not going through something as major as what you did. Dr Daniel Amen:	All right. When we come back, we're going to talk about the steps to overcoming. Thank you for listening to the Brain Warriors Way Podcast. 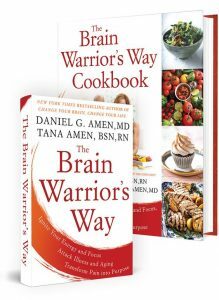 Go to iTunes and leave a review and you'll automatically be entered in to a drawing to get a free signed copy of the Brain Warriors Way and the Brain Warriors Way cookbook we give away every month.